We believe in Constructive/Disruptive Technology. The Bemer signal delivers such rebellious technology. We know the importance of ``The Breath``. We know technology is here that oxygenates and rejuvenates us in just 8 Minutes! A Natural way of improving your health. 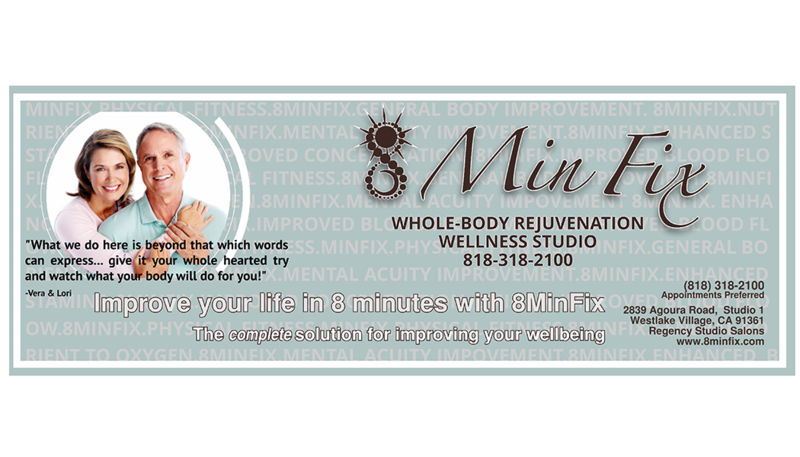 8 Min Fix offers a complete solution for feeling better. Our services and products promote whole-body wellness, addressing improvement from head to toe, inside and out. Your physical, mental and emotional well-being are all addressed with your 8MinFix. 8MinFix leads the way to a rejuvenated body with groundbreaking products. The Bemer Vascular Technology is one such product. We turn on a computer, it activates your body's electromagnetic signals. Your cells respond by clearing the Microvascular system. This process will take 8 minutes. In the following hours the oxygenated body and nutrient-filled blood flow will proceed to rejuvenate itself. FDA approved class I and II. Come sit with us and activate your health and longevity today. Office Hours : Tuesday - Friday 10 A.M. - 6 P.M. (Closed for Lunch 2-3 ) Saturday 10 A.M. to 4 P.M. Discover the cutting edge technology from Germany that enhance blood flow and oxygen in just 8 minutes session. Used in over 48 countries scientifically proven FDA registered. Experience increased endegy and enhance your immune system naturally!